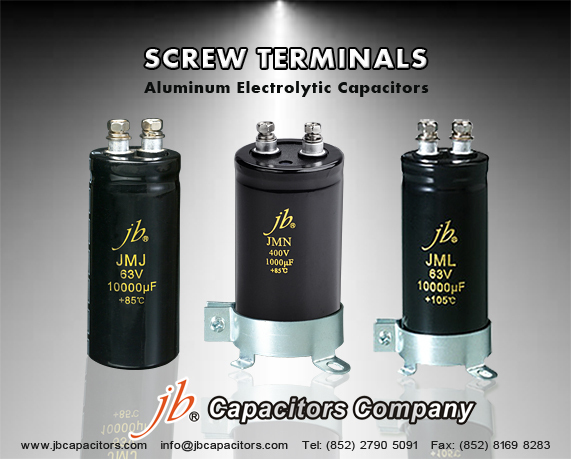 jb Capacitors manufactures and markets full series of Screw Aluminum Electrolytic Capacitor. JML series have a wide temperature 105°C, which is used for computers, communication powers Hi-ripple circuit of electric vehicle, electric train, general-purpose inverter. Following are Screw Aluminum Electrolytic Capacitor features, specifications and dimensions.